Downloadable titles, CD eBooks and even FREE books. Now Pay Fast enabled to allow you to download books and pay with credit card or direct EFT with instant confirmation and download. 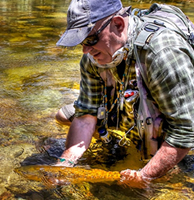 None better than the crystal clear, catch and release waters of the Limietberg Reserve. 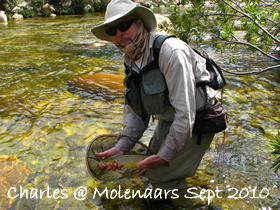 can show you some of the very best and most taxing fly fishing in the country. Click the logo to contact us via email. Send an e mail to arrange a booking. Just click here. "Guide Flies" is now available in printed format, CD and Downloadable files. 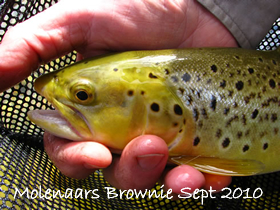 Tying simple, durable and effective trout flies for rivers and stillwaters. 54 full colour plates and graphics showing every step of the tying process. 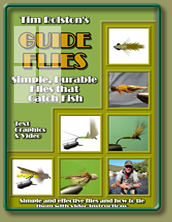 CD of video clips of each fly in the book included. Or download directly in html,ePub,mobi and other eReader files, from Smashwords. Available for download or on disc, key techniques for tying all manner of flies, covering everything from winding ribbing to my unique super durable parachute dry flies. Please note, the download version contains video links, the CD version with embedded video content can be purchased from the Book Shop. 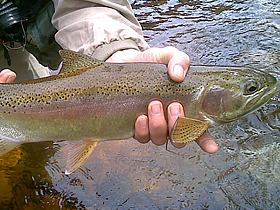 Crystal clear mountain streams, educated trout, catch and release regulations. 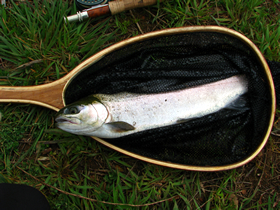 It all makes for some superb fishing. 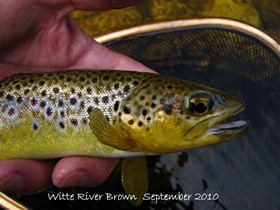 Add to that the probability that you will be able to fish dry fly much of the time and for most of the season will be able to target visible fish in the clear waters and you have something special. 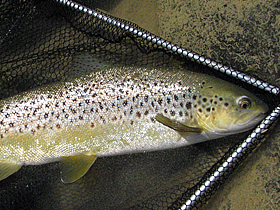 Late season provides excellent sight fishing with micro patterns, fine tippets and delicate presentations. 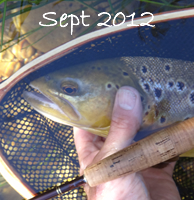 We select waters based on the season so as to offer the best chance of success on any given day. Please note the booking is essential.